Upmarket pizza delivery chain Firezza has been forced to question its entire growth strategy following the rapid emergence of third party delivery firms that are bringing restaurant food to the masses. 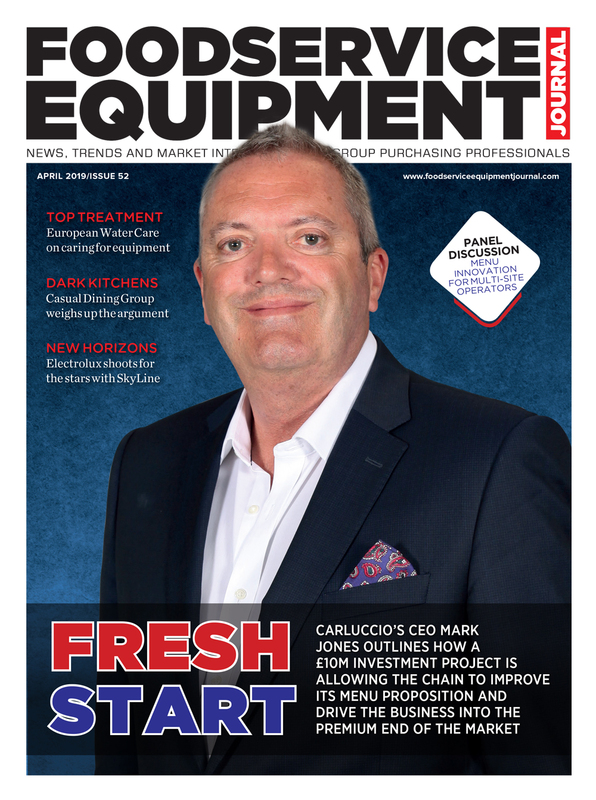 FEJ met founder Edin Basic for a candid chat on how Firezza is dealing with the changing status quo and why the specification of new rotating ovens has completely transformed its kitchens. Most entrepreneurs get their big break from spotting a gap in the market and Edin Basic, the founder of Firezza, is no different. In 2001, it dawned upon the then-head chef of an Italian restaurant that there was an opportunity to tap into the UK’s burgeoning pizza delivery market. Upon returning to London, the duo hired two Neopolitan chefs, purchased a wood-fired oven and sourced authentic ingredients from Southern Italy. Their first site, in Battersea, offering delivery and collection, was an instant success. 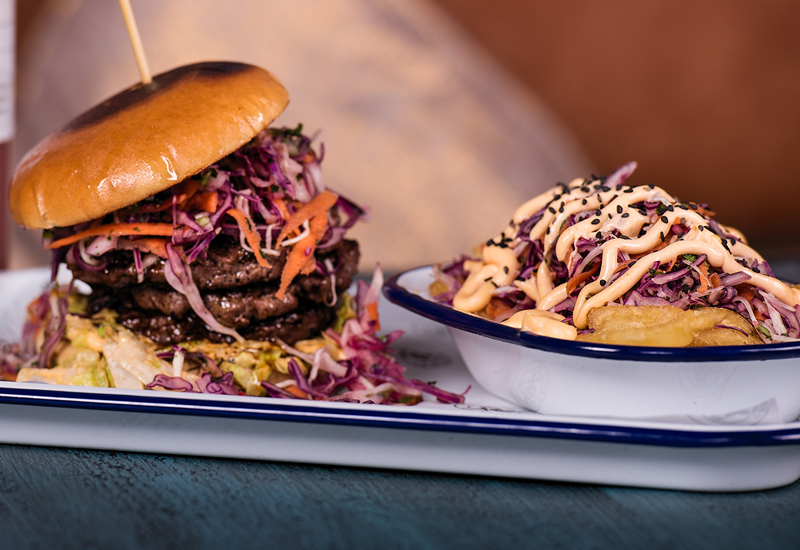 Within 12 months, a second site opened, in Wandsworth, and after attracting venture capitalist investment they were able to roll out more London units and open a central kitchen. By 2014, and with 15 sites up and running, the investors were seeking to make their exit so the co-founders bought that share of the business back, confident in their own plans to grow the estate to 35 sites and maximise EBITDA. “We had a three-year strategy planned and we thought that we could double the estate in that time,” Basic explains. Then something happened that caught many by surprise, including Firezza: third party delivery firms, or ‘aggregates’ as Basic refers to them, exploded onto the UK restaurant scene. 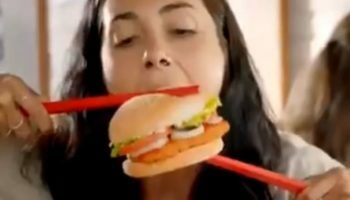 From out of nowhere, brands such as Just Eat, Hungry House and Deliveroo struck relationships with mainstream restaurants to make their food available through delivery. The boundaries between eat-in and delivery were immediately blurred in a way that had never threatened to be the case before. Firezza was suddenly forced to come to terms with the fact that its competition was no longer limited to rival pizza delivery firms, but the entire market.Consequently, it left the company in the odd position of being part of a huge, growing delivery sector but one in which its own slice of the overall pie had shrunk. “That is an ongoing challenge for us, but as a smaller company we are used to being able to change and adapt and find opportunities. We are now working on our aggregate strategy — how do we actually change and adapt in this environment to use aggregates to grow the business rather than the other way round. We have designed a seven-point strategy, but we are very clearly defined in terms of what makes us different from aggregates. While delivery providers can offer operators the benefit of their enormous databases and scale, which in turn leads to enhanced visibility, there is an obvious cost and margin discussion that any operator is required to have internally before engaging in such partnerships. Was Firezza resistant to the aggregates when they first emerged on the scene because of this? There is also another, more logistically-based challenge that the unification of dine-in and delivery creates: the issue of how operators manage their kitchens. On a busy Friday night, for instance, when both restaurant and delivery orders peak, operators will inevitably find their resources stretched. 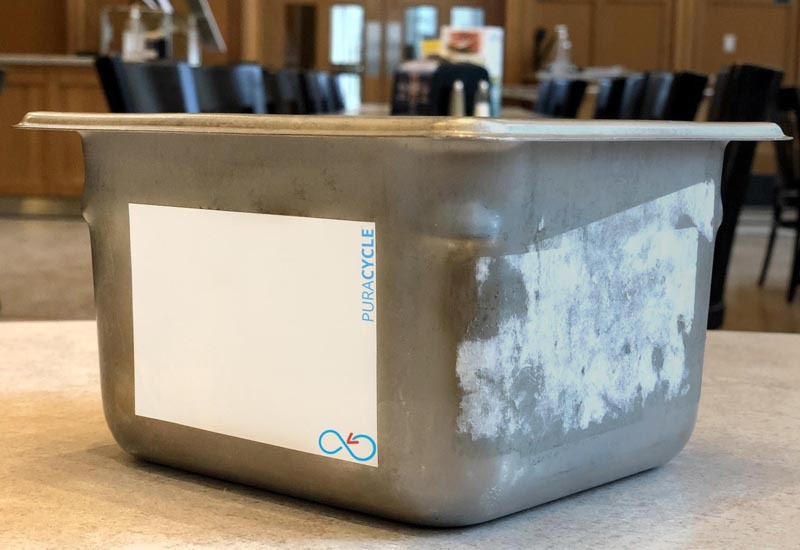 Many operators have reacted to this by retro-fitting delivery workstations in their kitchens, but Basic thinks the most logical solution lies in dual sites. 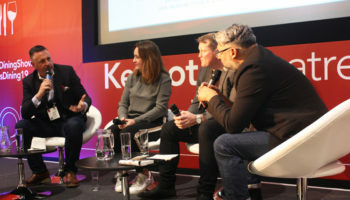 “You can’t really open a restaurant now without thinking about delivery, it’s part of reality, so why not design a restaurant that can cope with delivery as well, so that you don’t have to limit this side of the business and you can grow as much as you want? In other words you don’t need to take yourself offline, you just carry on. To do this you need to be thinking about back-of-house and equipment. If you offer pizza, for example, do you have two ovens using the same kitchen staff and separate entrances and waiting areas for the drivers? A dual site means you can run both operations without them affecting each other. Firezza has seen the market landscape that it operates in transformed over the last few years, but it still remains very much in growth mode and with ambitions to expand, both in London and beyond. Early last year it was acquired by Pizza Express and it has since opened six more sites. Reports this week suggest that ownership structure is on the verge of changing, but at the time its new parent clearly regarded it as the ideal foil to its own core restaurant business, essentially giving it a readymade delivery arm, albeit one that is independent in terms of both concept and brand. 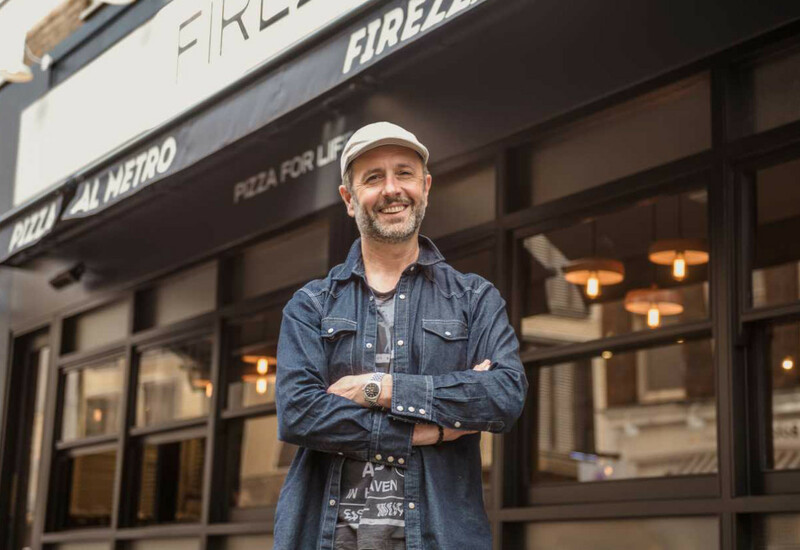 One of the more eye-catching developments has been the launch of the first Firezza dine-in restaurant, in London’s Dean Street, in the heart of Soho. 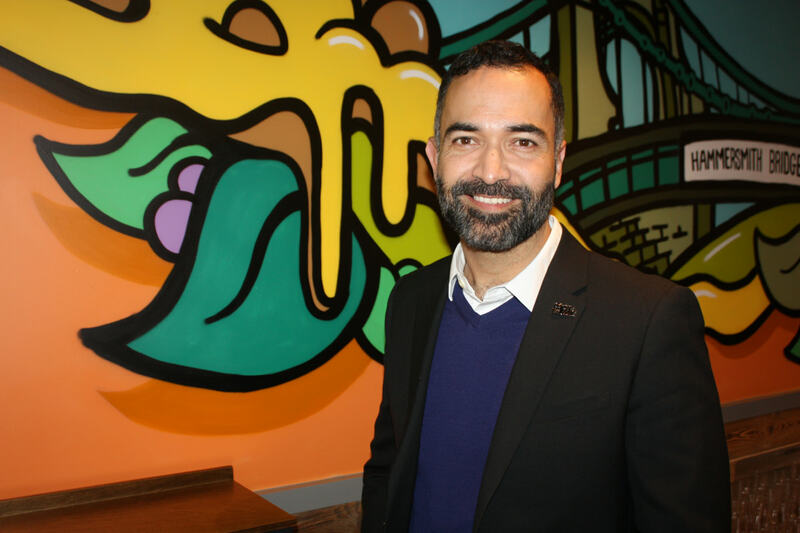 Having traded for 16 years as a takeaway business, it almost feels like the ultimate U-turn but Basic insists it is just another step towards diversifying and growing the brand. So does that mean more restaurants are in the pipeline? Success will likely come down to how quickly it masters the fast-casual experience, although it is making a good fist of it. On the second day that Dean Street opened it served almost 1,000 customers so it knows it has the kitchen layout and structure in place to be able to handle high levels of foot traffic. 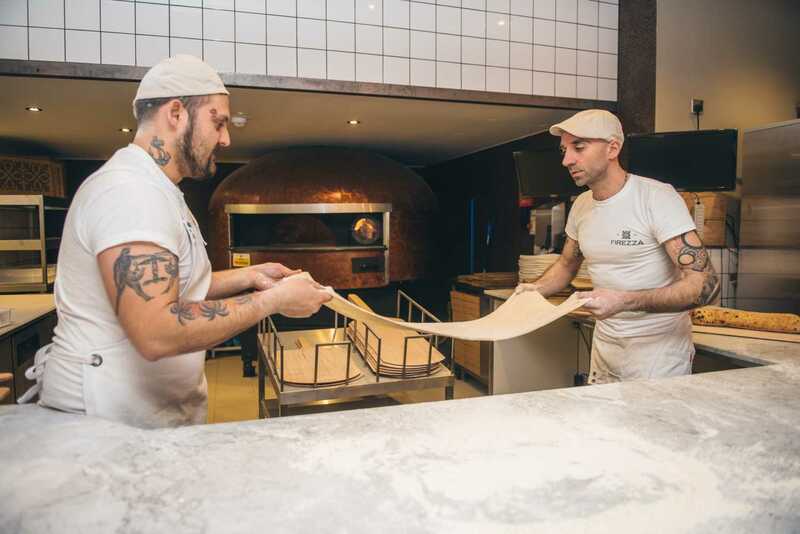 At Firezza’s Dean Street restaurant, the workhorse of the operation is a Marana Forni rotating pizza oven — supplied in the UK by pizza equipment specialist White’s Foodservice Equipment — which is capable of producing more than 250 pizzas an hour. The time and temperature is pre-programmed, allowing chefs to place the uncooked pizza in the oven and then remove it a few minutes later, after one full cycle. 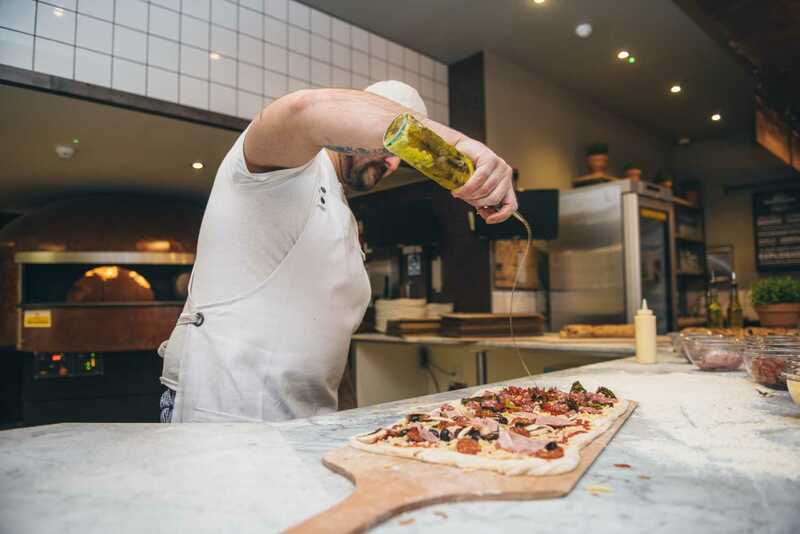 Basic insists it has revolutionised the way Firezza cooks pizzas as the temperature does not need to be as closely regulated by a chef as it typically would with a traditional wood-fired oven, nor does it need to be manned by multiple staff. Not all of the skill is stripped from the equation, however. Chefs need to physically remove the pizza as it rotates past the mouth of the oven and they can obviously wait until the last possible moment to do that, should the pizza need an extra 10 to 20 seconds of heat to achieve the desired finish. The Marana Forni rotating oven has now been introduced to all its newest takeaway sites as well, including Exeter, Staines, Hampstead, Dulwich and Milton Keynes. Firezza uses gas, but the oven can also be wood-fired or a combination of both, which gives the chain added assurance should there be a problem with the gas supply. The oven will even switch off when it is not in cooking mode in order to save energy while still preserving the temperature. 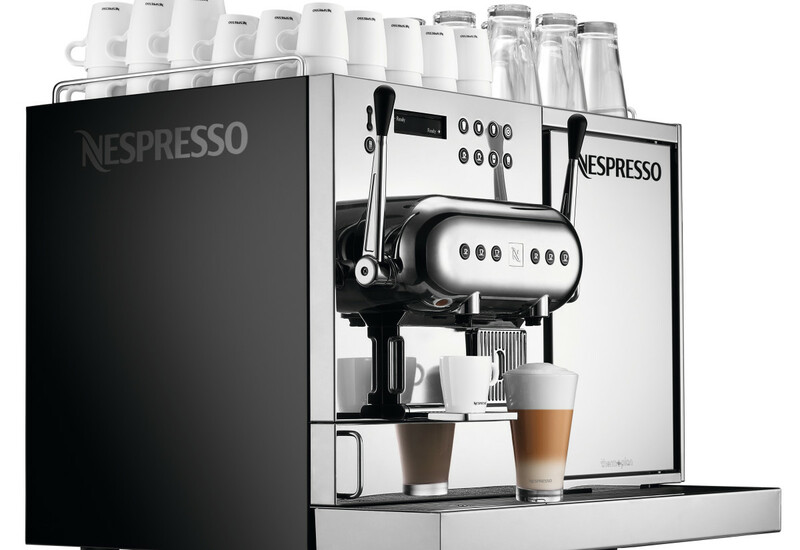 The only real kitchen bottleneck that an operation like Firezza faces comes from the capacity of the oven, but the introduction of the rotating system has pretty much solved that due to the level of automation and consistency it offers. 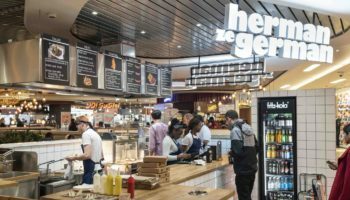 The dramatic reshaping of the foodservice landscape might have forced Firezza to think long and hard about its identity, but in doing so it has created a highly scalable operation with the potential to illuminate the fast-casual scene — irrespective of the mode of delivery. 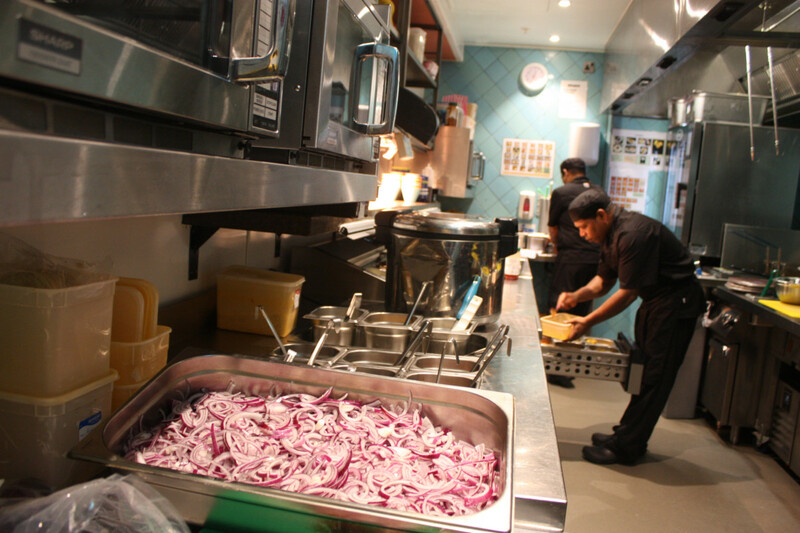 Firezza operates 22 delivery outlets, using a similar kitchen template for each one. As it has no need to fry or boil, for example, the oven is the only heavy duty piece of cooking equipment that it uses. 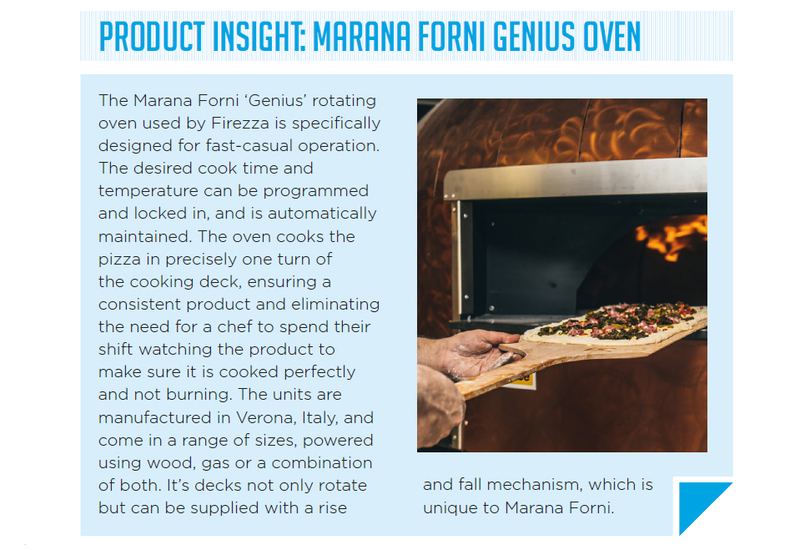 At its newest sites, the chain has installed Marana Forni rotating ovens, while at older sites it is using a mixture of brands that it has relied upon over the years. It initially began life using Pavesi wood-fired brick ovens, constructed by Italian engineers on site, and has also taken ownership of Wood Stone ovens over the years. 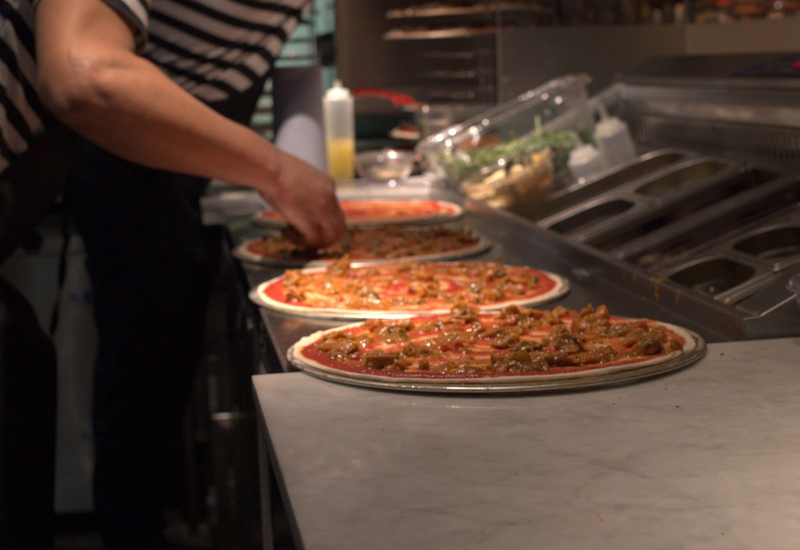 The expansion of the business under the ownership of Pizza Express warrants the need for its kitchen set-up to be as standardised as possible, says founder Edin Basic. 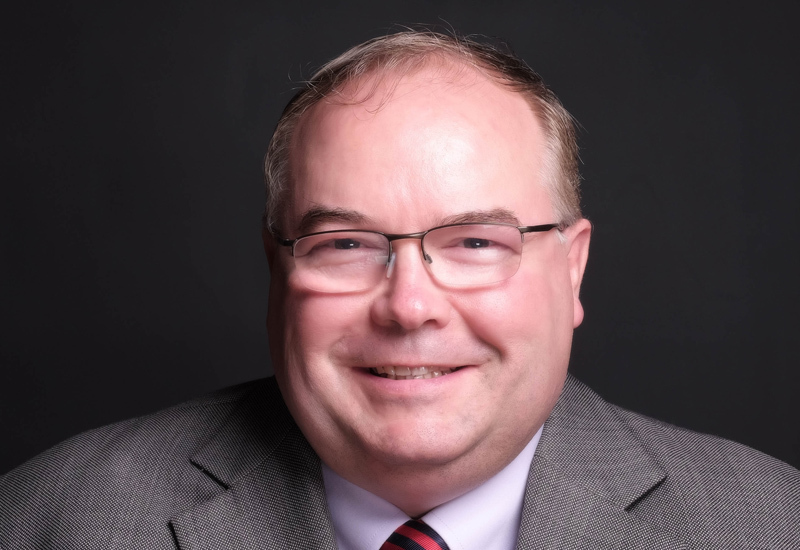 “Once you start looking to scale and open new sites, it is a completely different ball game. If we are to operate overseas in a different country then standardising the equipment and the product to make it easier makes sense,” he concludes. Excellent, informed well written article. More like these please. Thanks for the comment Steve – glad you enjoyed it.